Its finished and ready for snuggeling! I put warm flannel on the back so it will be nice and cozy all winter. 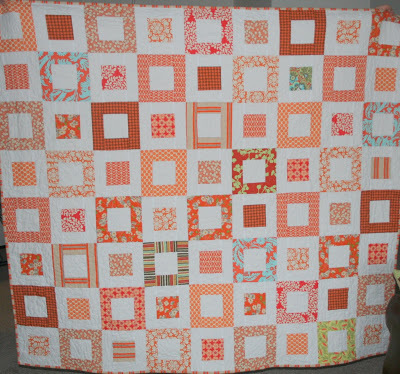 7 Responses to Orange quilt finished! Oh it’s so beautiful! I love it!! And I love the color of the back with the orange. Wonderful. 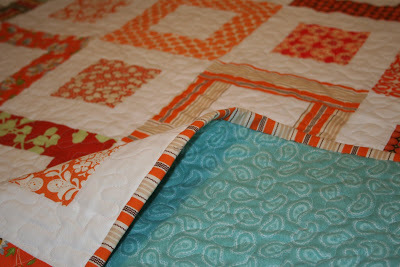 I just love love love this quilt…and the colours!!! I love this!! So pretty and fresh! Great blog! FANTASTIC quilts!! 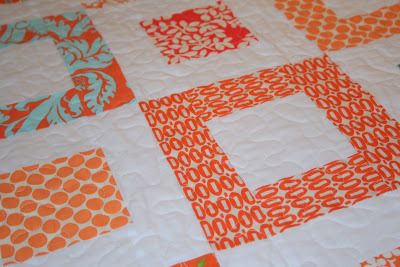 How do you get the fancy quilting stitch all though out the quilt? It looks machine done and it's so even! Beautiful! what pattern is this? I would like to purchase! !